I’m back in London and ready to fire up the oven for another edition of Woman Crush Wednesday! My fav day of the week. 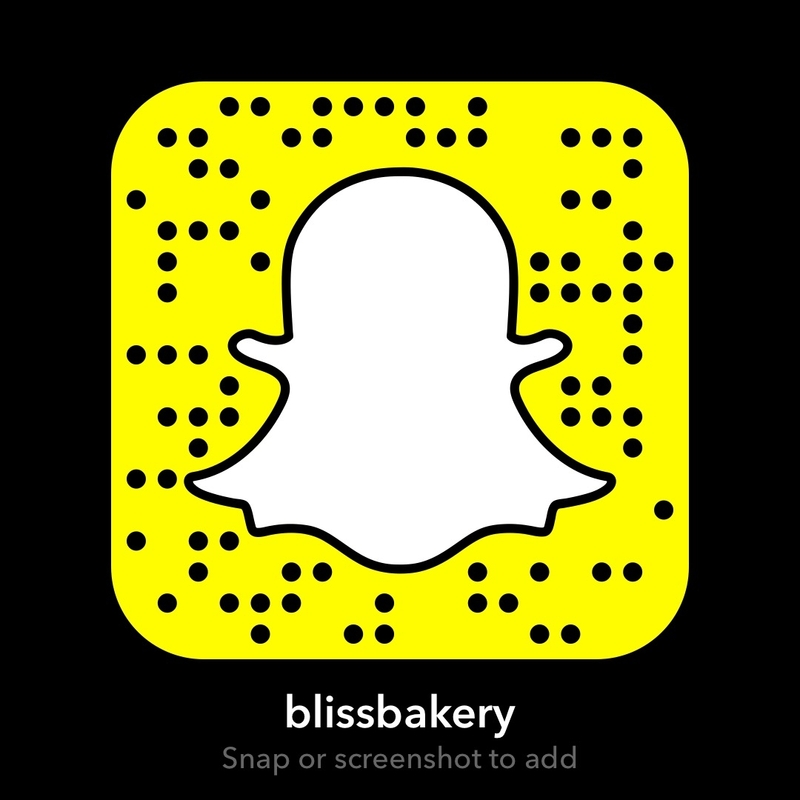 Another female chef is going to be getting the love and we are getting an amazing recipe recreated live on Snapchat (my username is blissbakery if you’d like to come watch). With this being the last Wednesday before Christmas we have to make something festive. But with all the temptations looming, it would be nice to have a not so naughty option. 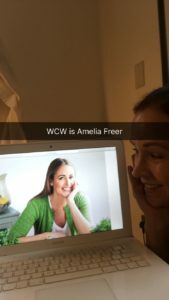 Enter the ever fabulous healthy eating expert Amelia Freer. 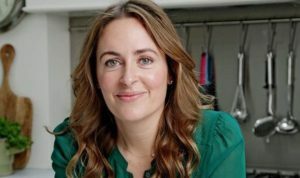 She is the British nutritionist that not only has two best selling cookery books but has helped umpteen celebs get on the right track with a passion for good, clean food. I realize this is literally the busiest week ever for people with shopping, wrapping, decorating and Christmas parties galore. But this recipe from Amelia looks super easy. While I always choose a recipe that I have never done before from one of the gorgeous gourmet gals on WCW, this week I made sure to pick a dish that could be done in a snap. Yet it is also the perfect party pleasing sweet treat as it is gluten free, dairy free and refined sugar free. So literally ALL of your guests can enjoy totally guilt free! So let’s get cracking on in the kitchen shall we? 1. Preheat the oven to 140C/275F/Gas mark 1. Line a small baking tray with parchment paper. 2. 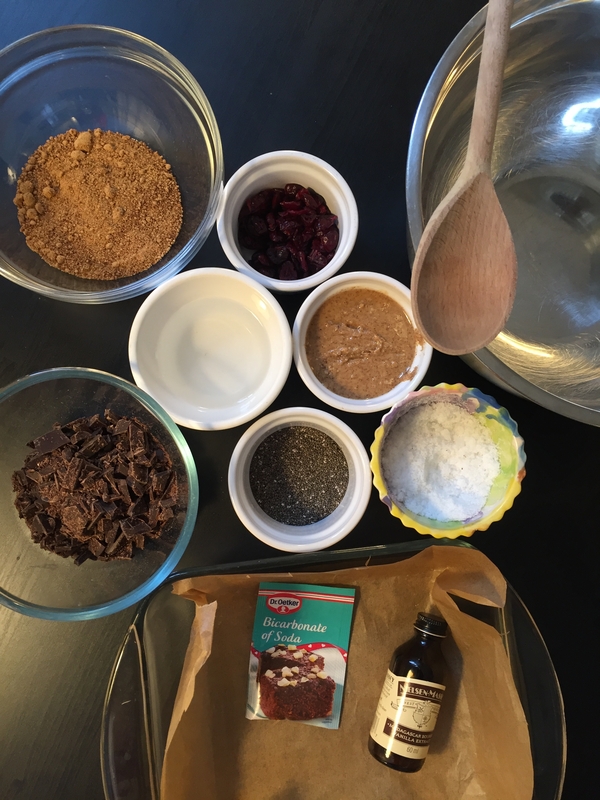 Mix all the ingredients together in a large bowl with a wooden spoon – it will be sticky, but don’t worry. Pour the mixture into the lined tray and flatten it slightly, then bake in the oven for 25 minutes, or until golden brown on top. 3. Remove from the oven and leave to cool for 10 minutes. Remove from the tin, peel off the parchment, and cut into squares. 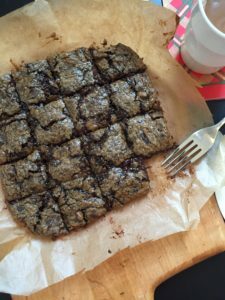 These brownies are so yummy and would make a wonderful edible gift if wrapped up nice and pretty. I suspect they would freeze well too. So it would be prudent to make an extra batch to pop into the freezer for your New Year’s resolution diet. Because I get that it would be hard to toe the line between now and then. It is the season for indulgence. 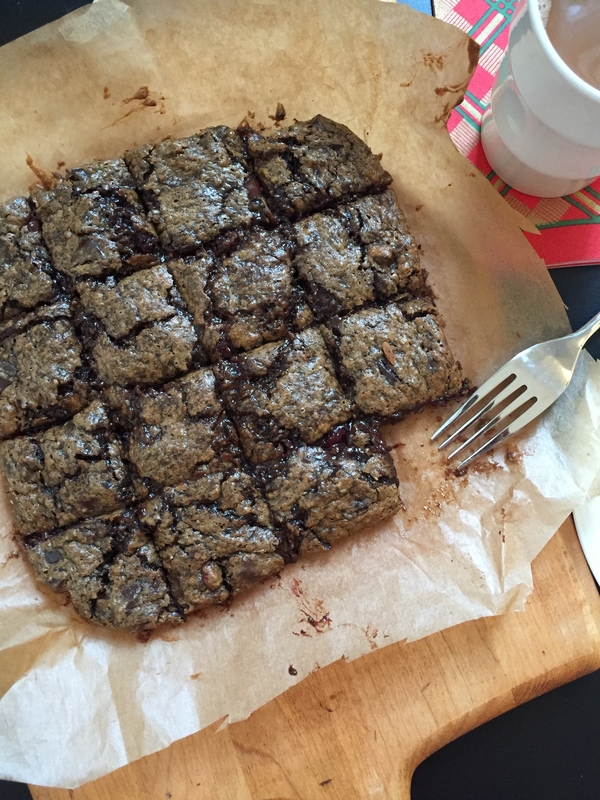 Yet I have to say these moreish squares of deliciousness look, feel and taste like a decadent dessert. So you won’t feel one bit deprived. And I love the combo of the texture of the chia seeds and tartness of the dried cranberries. So Christmas-y without getting a belly ache after eating them like some festive fare. Amelia herself dealt with food related health issues until she trained in nutrition and got on the straight and narrow herself. With low energy, skin problems and weight fluctuation while working for Prince Charles, she was able to get her well being on track through her program. Her blog is super popular along with her Instagram and Twitter. She no longer takes new clients as her wait list is too long. But she is able to impart her wisdom through her books and social media channels. I for one am so grateful for her wealth of knowledge, fabulous recipes and upbeat attitude! It is no wonder she is the go to guru of all the celebs. They know she is the real deal and will help them recalibrate their well being. Thanks Amelia for making a positive difference in the lives of so many! Love and well wishes to all for a wonderful Christmas time!